Angela Shaw began her career in Forensic Science in 2001 when she joined the Forensic Science Service (FSS), she rapidly became a reporting officer and then became the youngest Principal Forensic Scientist within the FSS. Now an internationally recognised expert in the field of gunshot residue (GSR) she was formerly the FSS national scientific lead for the discipline. An active participant in the European Network of Forensic Science Institutes (ENFSI) Firearms/GSR Expert Working Group, the largest in the ENFSI community, she was a pivotal member of the Steering Committee. Her portfolio of casework and the presentation of original scientific papers soon established her as one of Europe’s leading practitioners. Angela has worked on numerous cases involving the interpretation of complex GSR findings; she is pre-eminent in her field in the consideration of contamination questions and the significance of the presence of GSR particles. She has worked on complex and sensitive high profile police investigations in the UK and internationally providing expert witness testimony for over 16 years in cases involving the full range of gunshot residue forensic science from illegal possession of firearms to terrorism. International work includes high profile cases in Cayman Islands, Bermuda, Turks and Caicos Islands and southeast Asia. She has given expert testimony in Crown and Appeal Courts. Angela has received numerous commendations for her professionalism and ability to carry out complex in-depth investigations and reviews. She is highly experienced in undertaking cold-case reviews. As a Principal Scientist at the FSS, she set technical standards and competencies to maintain the quality of casework. She revised all quality documentation and wrote formal reporting guidelines - the first such guidelines written by a forensic provider and now used by other forensic laboratories in the UK and Europe. This achievement was recognised by the Home Office when it awarded the Forensic Firearms Consultancy (FFC) Ltd, a company of which she is a Director, www.forensicfirearmsconsultancy.com, the tender to assist in drafting the Forensic Science Regulator’s Codes of Practice and Conduct appendix for GSR. She is expert in maintaining accreditation to the ISO 17025 standard for gunshot residue and is a trained auditor: she has audited European Forensic Laboratories as part of an EU-commissioned project to help laboratories obtain external quality accreditation and has provided expert opinion. She was asked by The Royal Society of Chemistry to write a GSR chapter for the textbook, ‘Crime Scene to Court: The Essentials of Forensic Science’, (ISBN: 978-1-84755-882-4), a recommended textbook for students, lawyers and police officers. Angela has created, managed and delivered bespoke training courses for trainee forensic scientists and investigators and was responsible for assessing overall performance and readiness to practise as an expert witness. 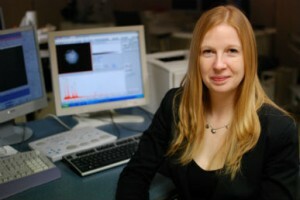 She has forged collaborations with academic institutions such as King’s College London, giving MSc students the chance to complete their final year projects at the FSS and now with FFC Ltd.
She has worked with police forensic and firearms units together with government bodies advising on best practice regarding cross-contamination at crime scenes and during the arrest and apprehension of suspects. She continues to advise the Home Office Forensic Science Regulators Office on matters concerning GSR.